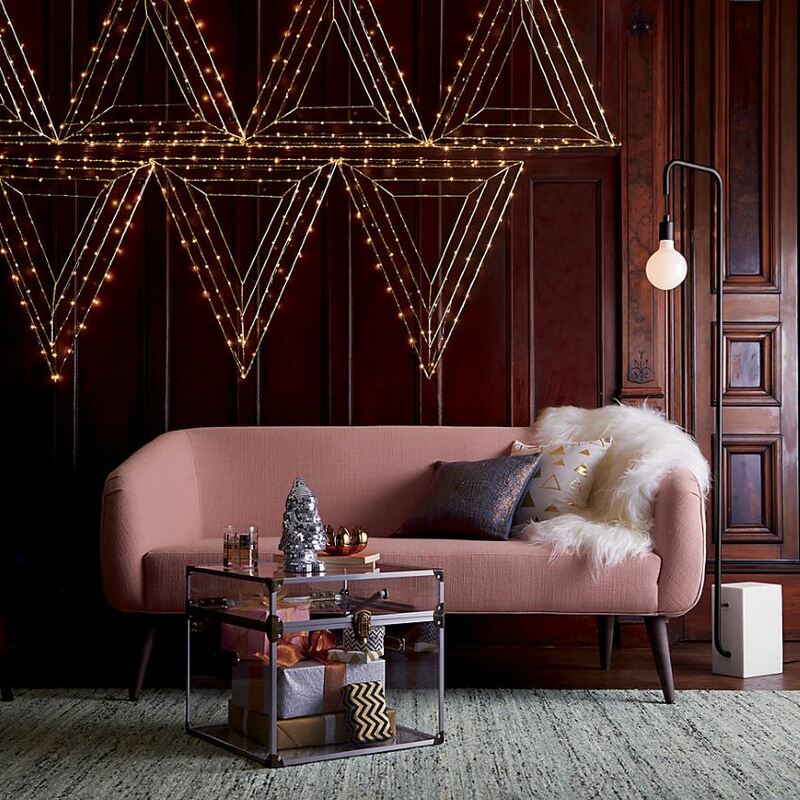 Obviously, metallic decor is still hot for the holidays. 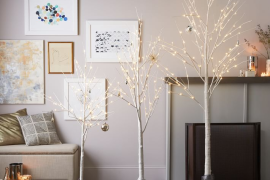 But this year we’ve seen some unexpected pops of color in fall and winter vignettes. 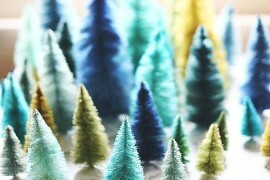 One such color: teal. 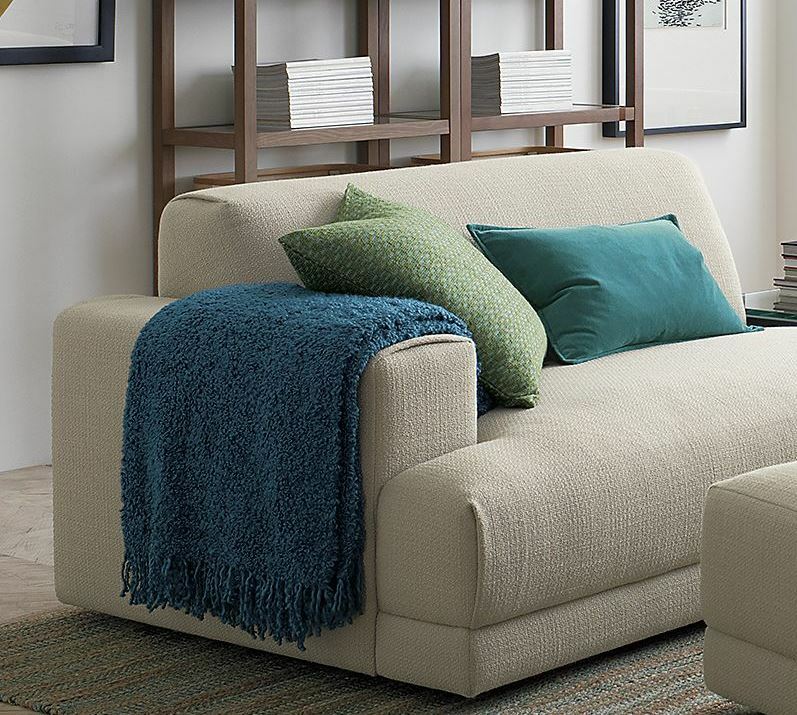 Which is why the Aubree Teal Throw from Crate & Barrel is right on trend. Geo is everywhere! 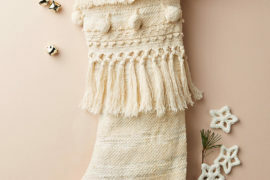 It’s no surprise that it’s making an appearance in many a holiday collection. 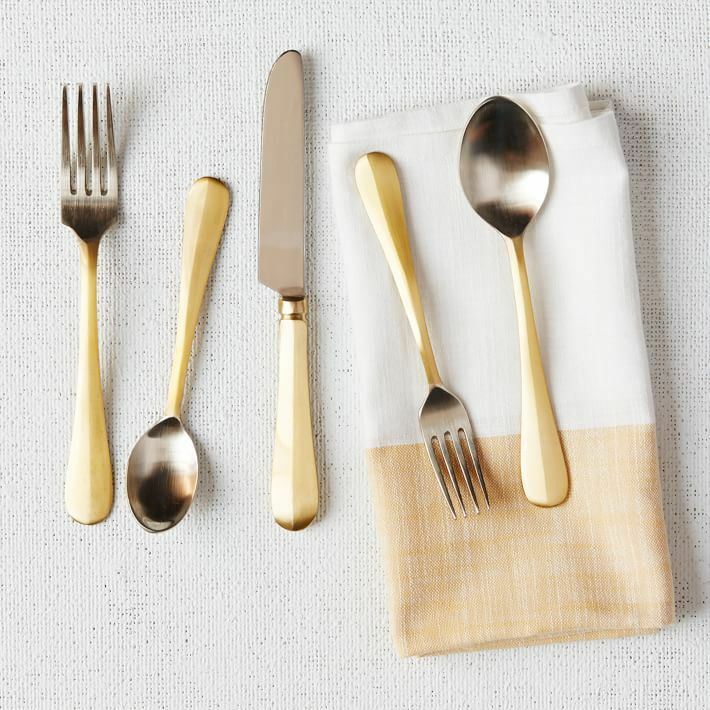 Leave these Gold Windows Placemats from CB2 on your tabletop throughout the winter. 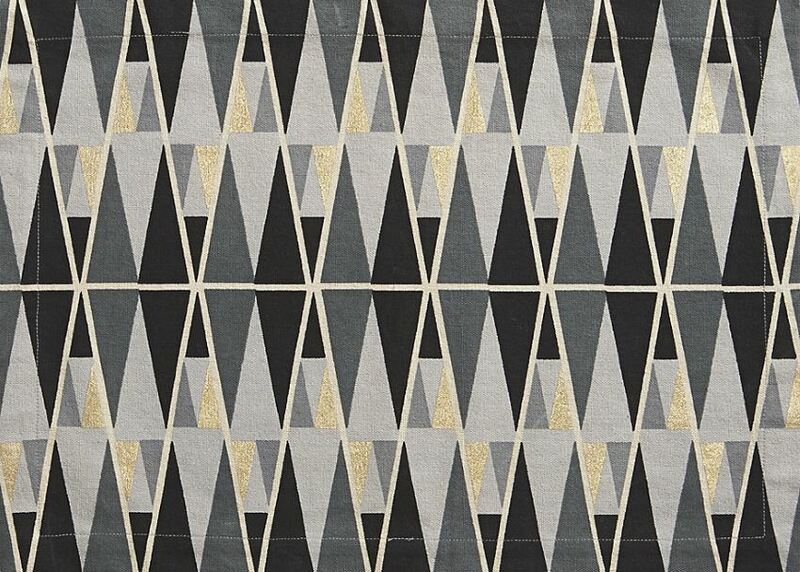 Their geometric pattern of triangles in grey, black and gold certainly isn’t holiday-specific! Remember when I mentioned that teal was making a bold statement this holiday season? Here’s some serious tabletop proof! 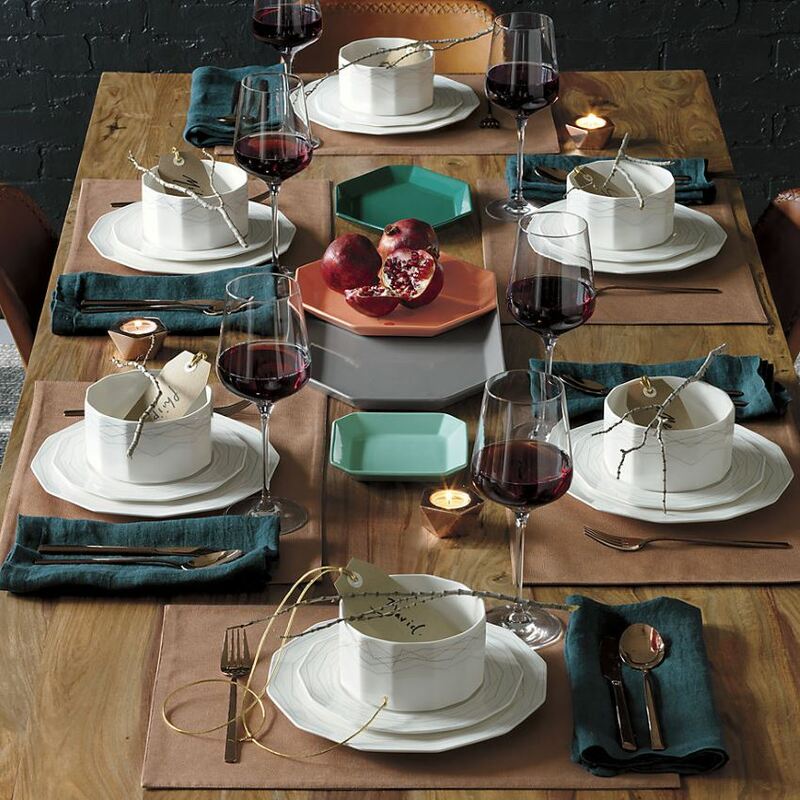 Say hello to the Intermix Dinnerware from CB2, featuring faceted pieces in shades of grey, aqua, blue-green and melon. 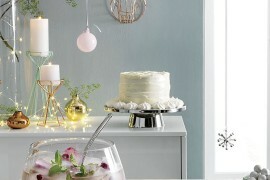 Isn’t this dinnerware divine with the teal napkins and jewel-toned consumables below?! 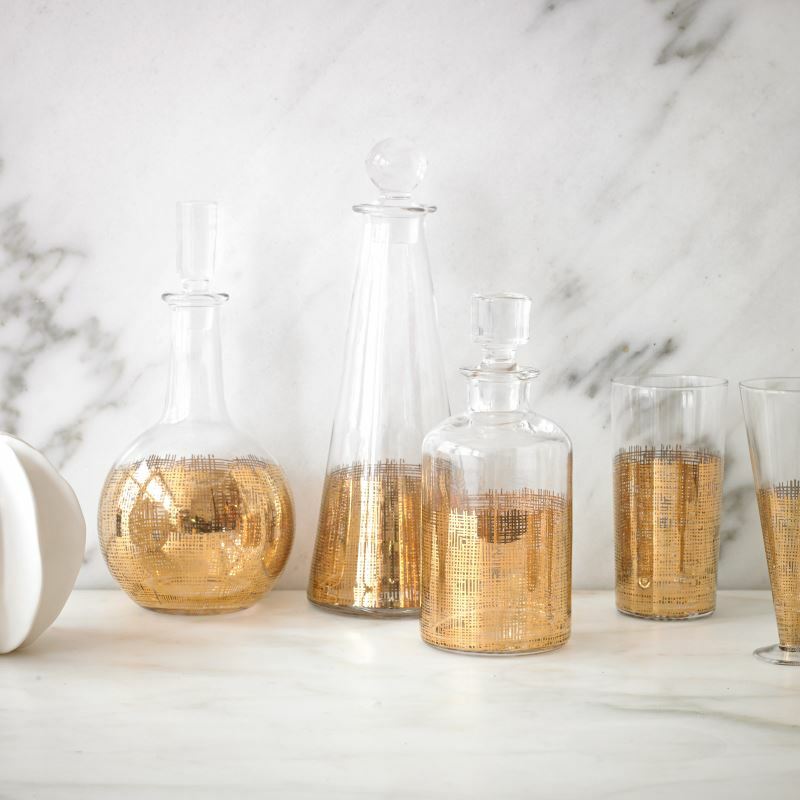 Glass meets metal in these Crosshatch Drinking Glasses from DwellStudio, shown with a range of other finds from the Crosshatch line. The secret to the sparkle? 24-karat-gold detailing! 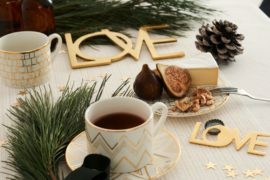 Don’t forget the icing on the cake that is your table setting. Candles can provide such shine. Especially when they celebrate today’s geo mania. 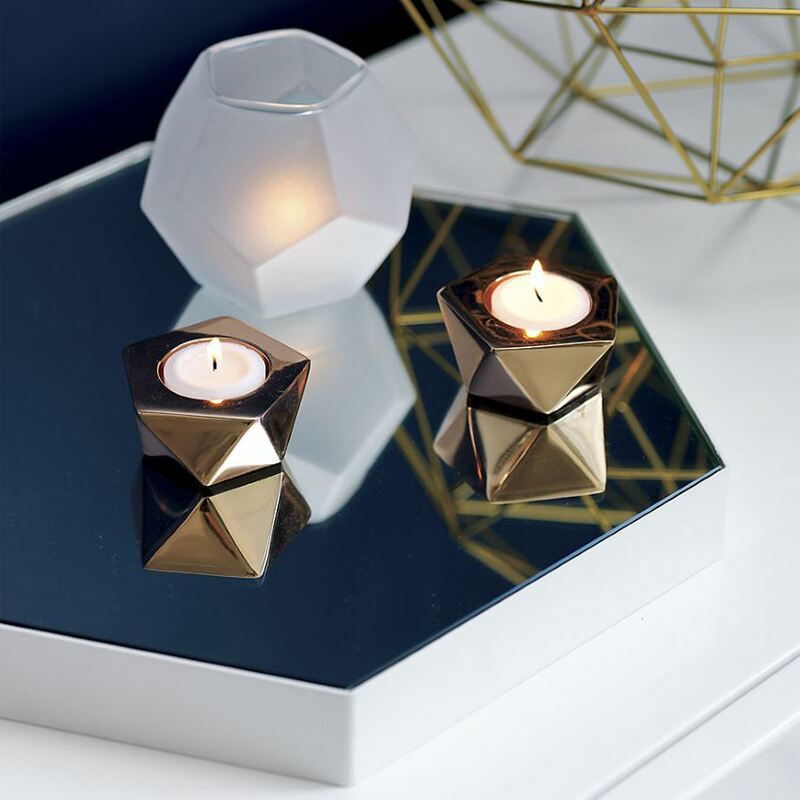 The Gami Rose Gold Candleholder from CB2 is crafted of brass with a rose gold finish. 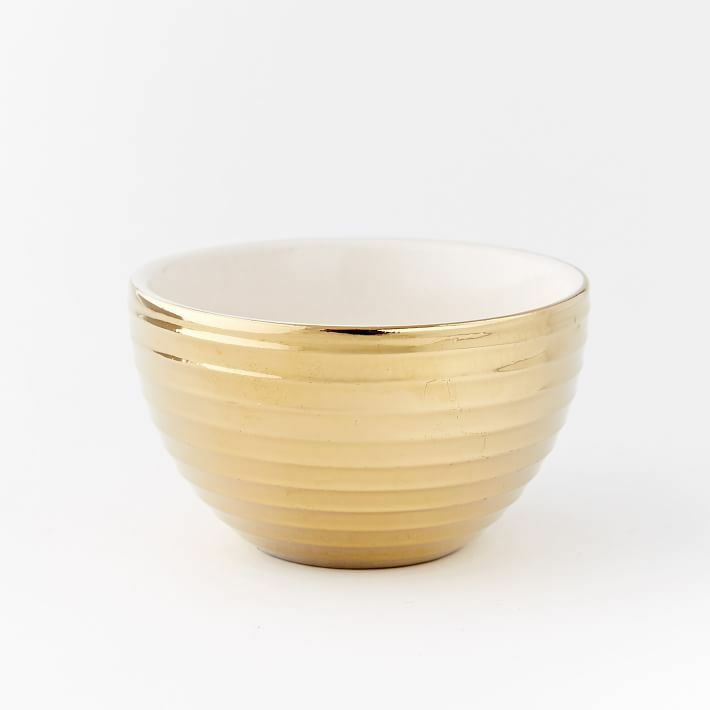 Metallic style meets the joy of texture in these Textured Metallic Dip Bowls from West Elm. Below we see the gold-toned selection, but note that there are also gorgeous designs available in bronze and silver. 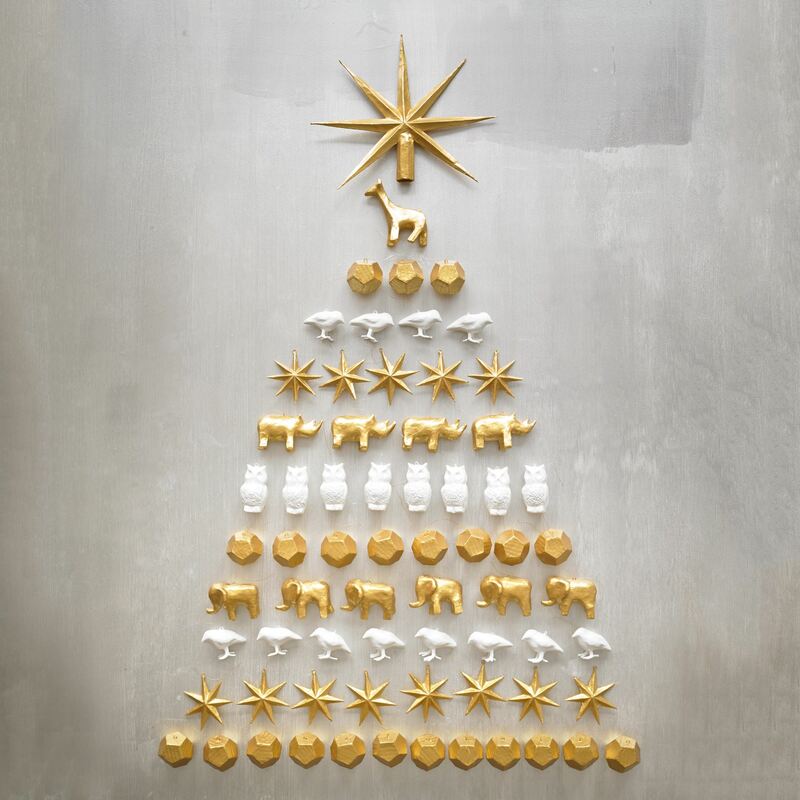 Let’s hear it for glazed ceramic with a metallic finish! Now I’ll get a little more holiday-centered. 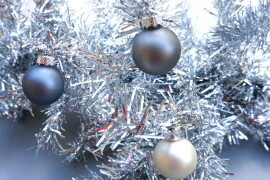 Because I can’t talk about holiday collections without mentioning adornments for the Christmas tree. 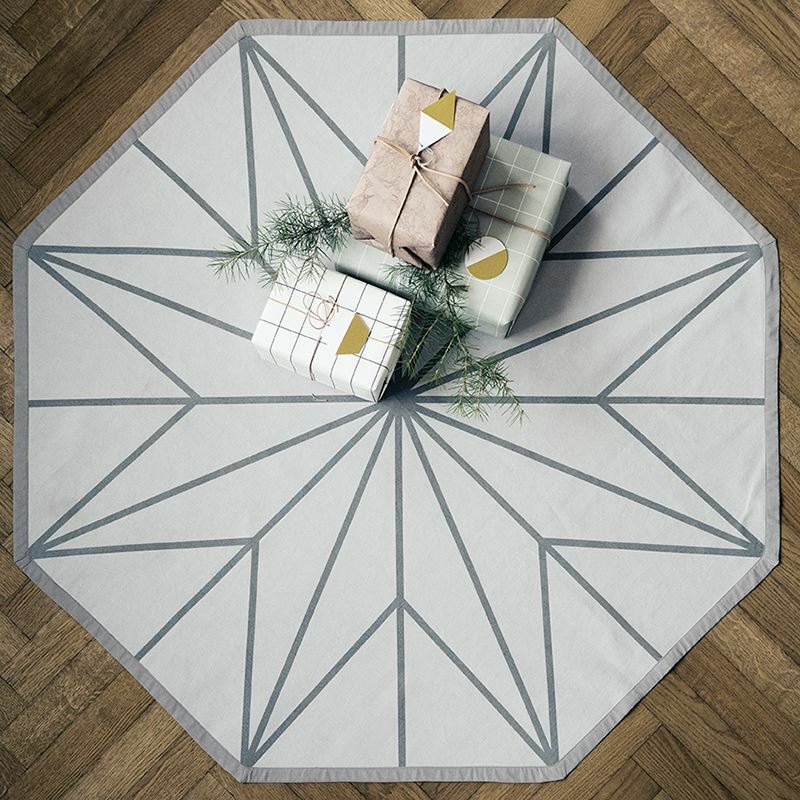 This Christmas Tree Blanket from Ferm Living is fabulous, modern and available in both grey and black. 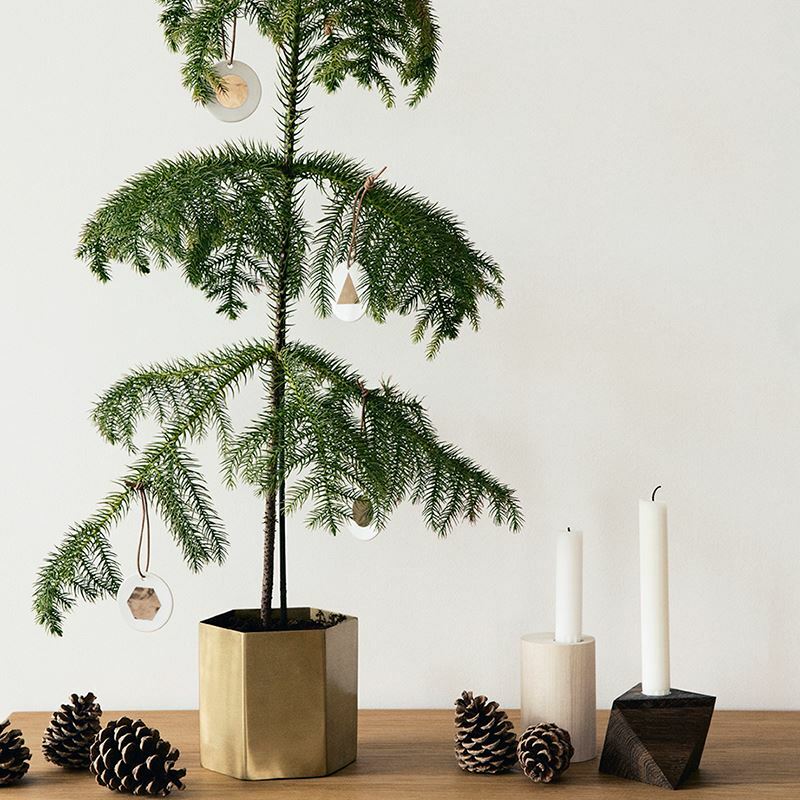 An octagonal form meets holiday style! Sculptural geo forms in colorful shades are seen in the next featured image. 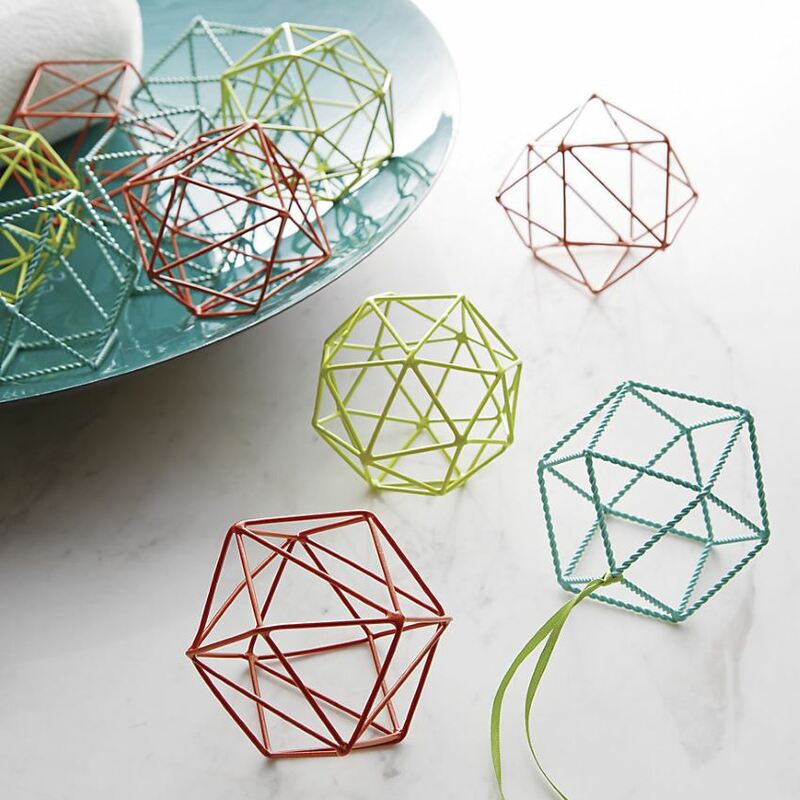 Say hello to CB2’s Open Wire Ornaments, crafted of welded iron wire. 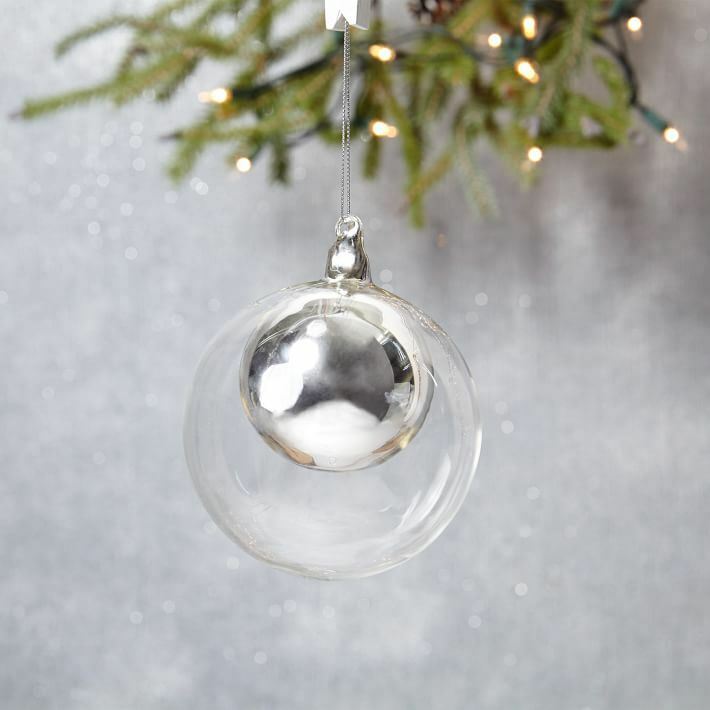 Hang them on the tree, then display them on bookshelves and other surface-tops all year long. 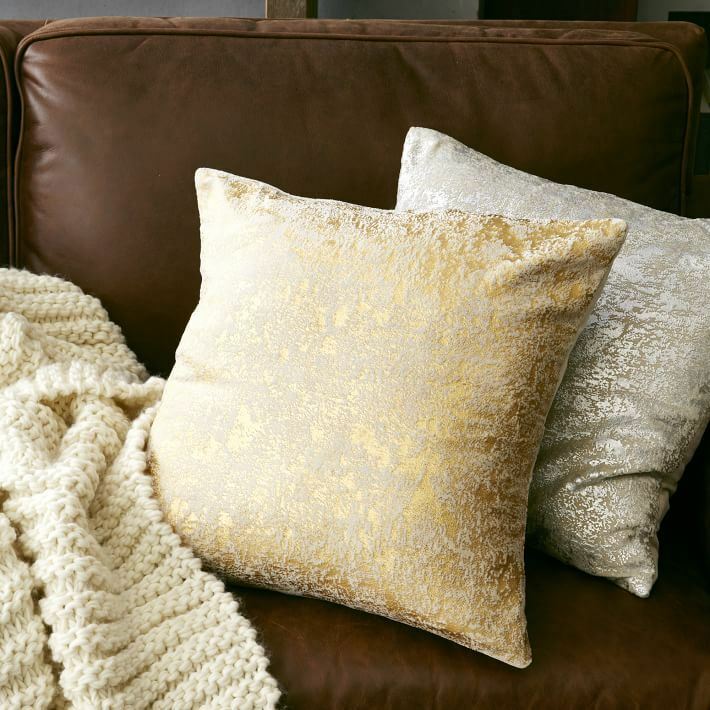 Another unforgettable mix: porcelain and golden geo forms. 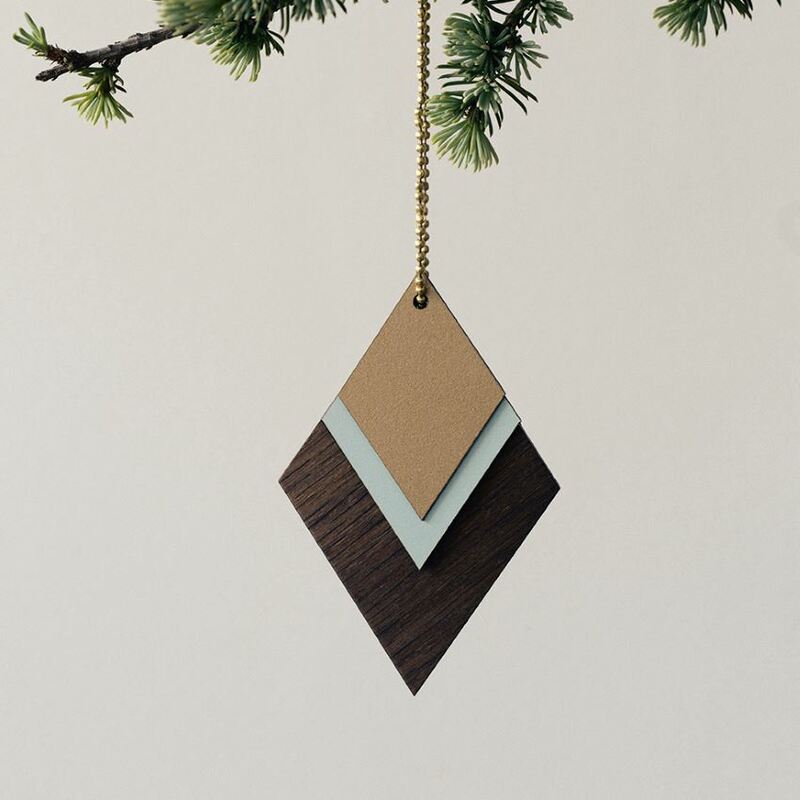 These Porcelain Ornaments from Ferm Living are suspended by a leather cord. 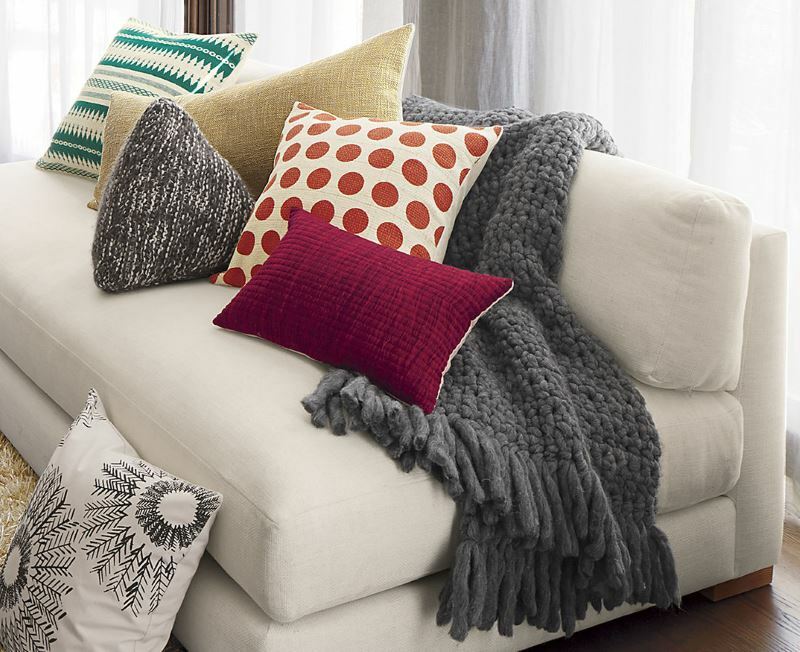 The look is uncluttered yet bold. 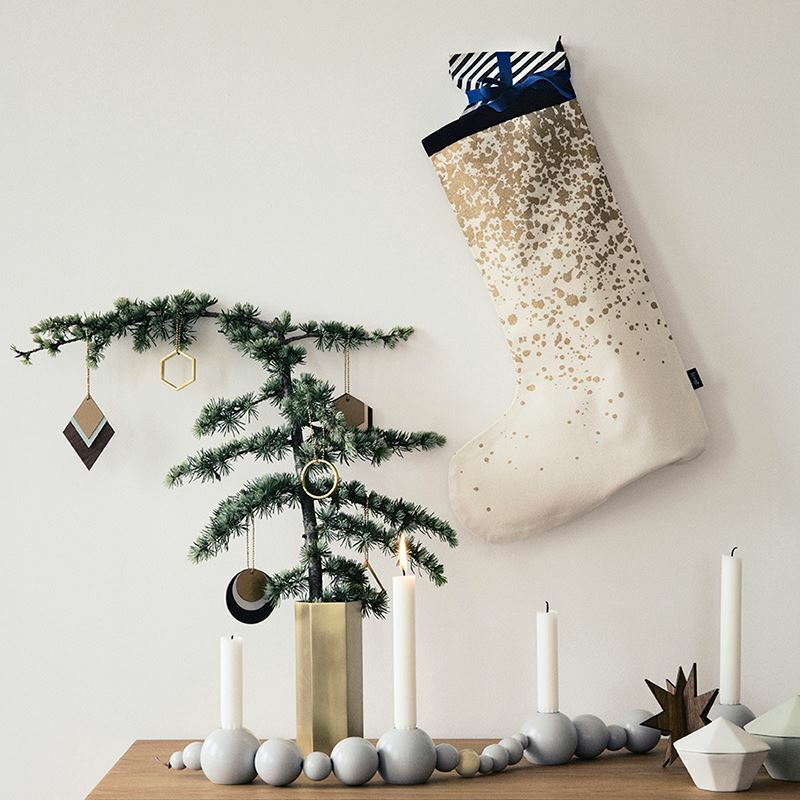 Did today’s post get you thinking about your holiday decor? 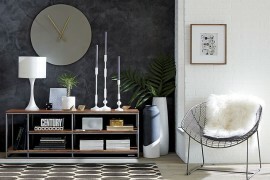 Are there any pieces you’d like to add to your collection? 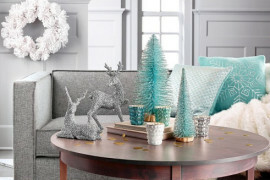 Are you tempted to keep your decor firmly rooted in metallic tones, or are you considering adding a bold shade like teal to the mix? 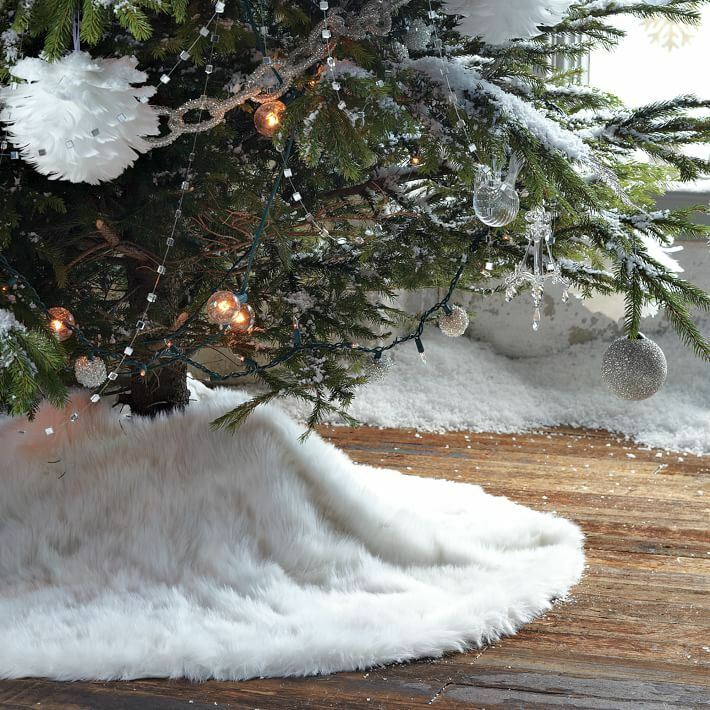 Here’s to a November filled with holiday dreaming!